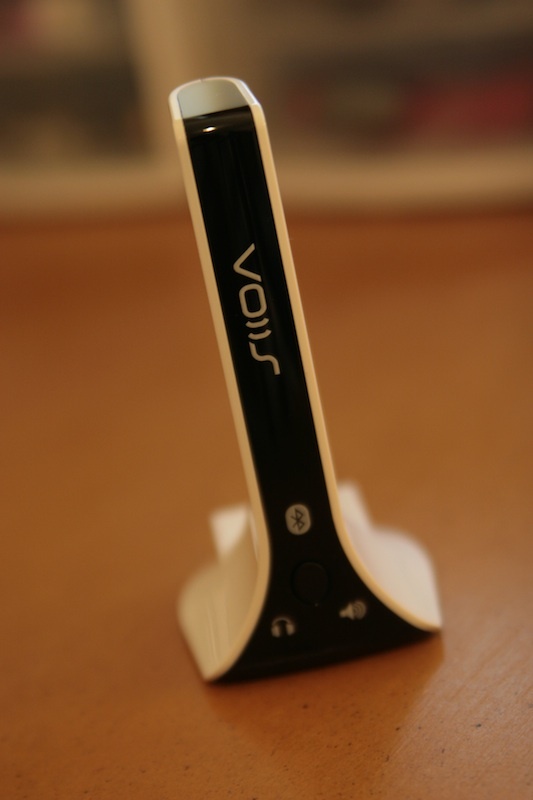 Review: Voiis Wireless Music Gateway… music in a stream… | When Will Apple? Recently, I got the opportunity to test the Voiis Wireless Music Gateway (thanks to Mobile in Action for sending us a unit) and I have to say it’s pretty good. Basically the Voiis is a Bluetooth enabled device that will let you stream music from or to the unit. You can connect the unit to a device and send the music to a pair of wireless headphones or you can do the opposite and send the music to the unit and play it through a stereo system. For testing I set it up to stream music to a stereo system. The tests consisted of connecting the unit through Bluetooth to an iPhone and an iMac. Both setups were fairly easy once I knew what I was doing, there’s only 1 button on the unit, so everything is done through pressing and holding down the button (make sure to read the instructions). First, I tested connecting to an iPhone. 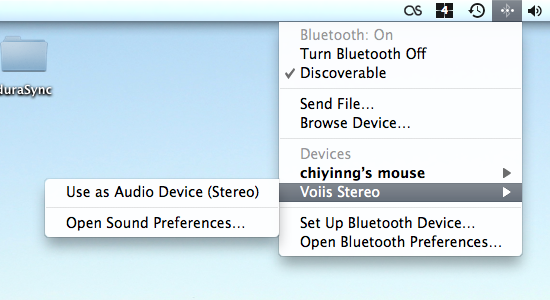 Once paired the Voiis appears as an output device on the iPod App. Very straight forward. The second test is where I found the Voiis most useful. I have a fairly sized music library on my computer and being able to play that in a stereo system without a bunch of cables running from my desk to the sound system is great. The setup was simple, just like any other Bluetooth device pairing. 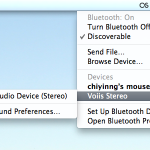 With the Voiis paired and connected, it shows up as an Audio Device in the Bluetooth icon in the menu bar, which makes it easy to switch back and forth with the internal speaker. This test also let me check the range of the signal, as my computer is in one end of my home and the stereo it connected to was in the other with a few walls in between and it performed fairly well, only dropping out once or twice. Sound wise it was OK, it’s definitely not for audiophiles, but that’s the case with any Bluetooth stereo device.